Leading up to Open Datathon! 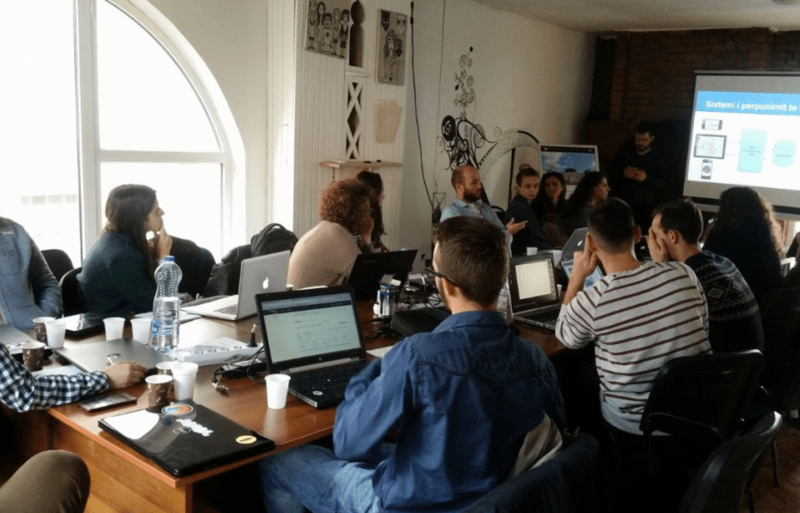 There was an enthusiastic start to the weekend at Prishtina Hackerspace, on an energetic Saturday morning, with the participants of Open Datathon gathering around the main source of energy – coffee. Considering the great importance of open data on treating social issues, the participants spent the day following the preparatory one-day training which will help them finalize their projects during the Open Datathon event on the 19th and 20th of November. During the training, the participants and the speakers discussed and practiced different techniques of finding open data and formulating of research questions, open data processing, the presentation of open data online, and the presentation of open data through infographics. The importance of open data lies in its possibility to revolutionize our way of governance and the way we deal with certain social issues. The transparency of open data allows us to make evidence-based decisions when addressing our common issues. We believe that with the increase of access to open data, so will the benefits and opportunities, not only for the government but also for individuals, organizations, and not-for-profits. The Open Datathon event accompanied by the enthusiasm of its participants are a great step towards said transparency. We would like to thank our partners FLOSSK – Free Libre Open Source Software Kosova, Open Data Kosovo, Prishtina Hackerspace, Girls Coding Kosova, the trainers: Arianit Dobroshi, Endrit Bytyqi, Partin Imeri, and Visar Arifaj, and all the enthusiastic participants for an excellent collaboration and start of Open Datathon.